The historically and culturally rich town of Madurai is a favored pilgrim destination. Even though the place is synonymous with the magnificent Meenakshi Temple, there are many other temples in and around Madurai that are visited by tourists. One such temple is Alagarkoil. 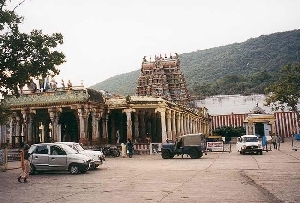 The term Alagarkoil actually means Alagar Temple. It is also well known as Azhagarkovil.